Many people say that Connor McDavid is the fastest player in the NHL. That may be the case. If he is the fastest, wouldn’t you expect him to be more powerful and explosive then the average NHLer? 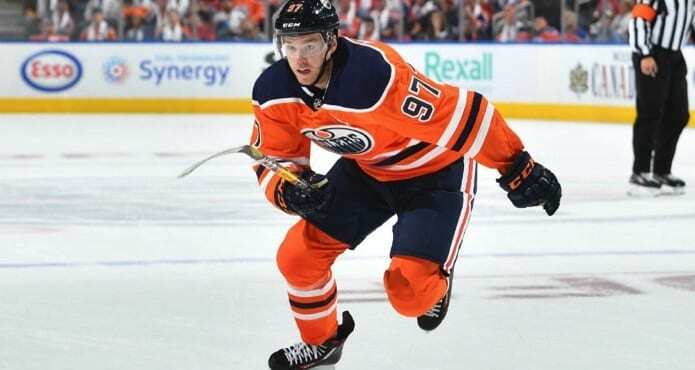 If yo think like I previously did, then you will be blown away to hear that McDavid does not have stand out numbers in any of the off ice testing. Jack Eichel performed at a higher level in every single lower body explosive test, like broad jump, vertical, and sprints. So even though he is not way ahead of everyone in off ice speed and power, he is widely considered the player with the most speed and power on the ice. At Train 2.0 we believe that this is the case because McDavid has the best skating technique in the NHL. We have studied his movements and found that there are three distinct mechanics that he uses consistently in his skating. In this video we will show you what these three are and how McDavid uses them to be one of, if not the fastest player in the NHL!